When you’re a bookworm, your teenage years can be very exciting – well, outside of all the awkward bits. Through school, you are exposed to an entire world of literature (good literature) that you never knew existed. Thanks to my high school and college education, I found countless favorites and stories (and characters) that will forever be dear to me. 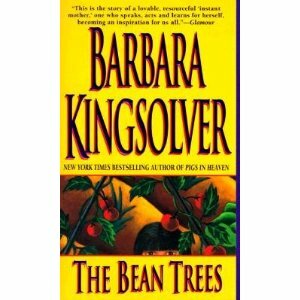 Barbara Kingsolver is one of those authors – The Bean Trees, was part of our required summer reading list. After reading The Bean Trees (and falling in love with Turtle), I knew that Kingsolver was an author that I would have to follow. While, as of today, I’ve only read about 3 or 4 of her novels, the rest are all on my “must-read” list. But outside of her writing, Kingsolver is just a fascinating woman. Born in 1955, she grew up in Nicholas County, Kentucky. At various times throughout her childhood, her family traveled to areas of the world in need of the services of a physician (her father volunteered) and, as reported in her brief autobiography on her website, the most memorable of these journeys was to a remote village in the Republic of the Congo. They always returned home to Kentucky, however, and she grew up surrounded by nature, animals, art, books, and writing in her journal. She received a Bachelor’s degree in Biology from DePauw University in Indiana. Upon graduation, she traveled throughout Europe and spent most of her time in France and England working on archaeological digs. The expiration of her visa brought her back to the US – specifically Tucson, AZ – where she acquired a Master’s Degree studying Ecology and Evolutionary Biology. During this time, she also started writing as a scientific writer for the University of Arizona. She met and married Joe Hoffman and together they did a lot of work with organizations investigating human rights violations and assisting Latin American refugees seeking asylum. It wasn’t until the 1980s that Kingsolver began writing, and publishing, fiction. From there, she’s enjoyed a successful career of bringing these amazing stories to her readers, who have fallen in love not only with her characters, but her beautiful descriptions of the landscapes, cultures, and environments. Reading each of her novels will truly take you to places that you possibly never dreamt that you’d ever see. You’ll learn things that you didn’t go into the novel believing that you would pick up. 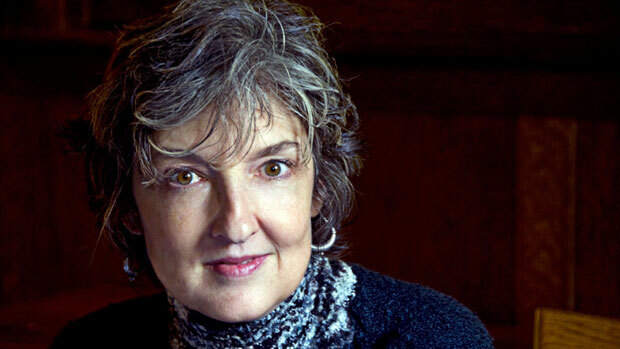 She’s far more than “just” another author, Barbara Kingsolver is truly an educator. Kingsolver was named one the most important writers of the 20th Century by Writers Digest. Critical acclaim for her books includes multiple awards from the American Booksellers Association and the American Library Association, among many others. The Poisonwood Bible was a finalist for the Pulitzer Prize, the Orange Prize, and won the national book award of South Africa, before being named an Oprah Book Club selection. Animal, Vegetable, Miracle won numerous prizes including the James Beard award. In 2000 Kingsolver received the National Humanities Medal, our country’s highest honor for service through the arts. In 1998 she established the Bellwether Prize for fiction. I learned all of the biographical details from her official website (http://www.kingsolver.com), which I highly recommend visiting if you’re interested in learning more. There is a brief autobiography featured there, which includes pictures and much more details about her fascinating life, from childhood to present.